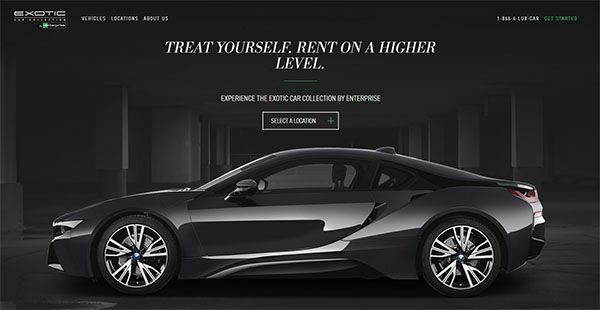 Home Exotic Car Rentals - Are They Worth the Money? Have you ever though what it would be like to climb into the cockpit of an Exotic Super Car? Over the years many niche companies have began renting Exotic Sports and luxury vehicles usually out of the reach of us mere mortals. Even rental car giant Enterprise Rent A Car has jumped into the game. Renting one these vehicles may give a boost to your ego or empress your former classmates at the high school reunion or turn heads on the Vegas Strip or South Miami Beach... But at a cost. Check out some of these awesome rides, along with how much a one day rental costs. 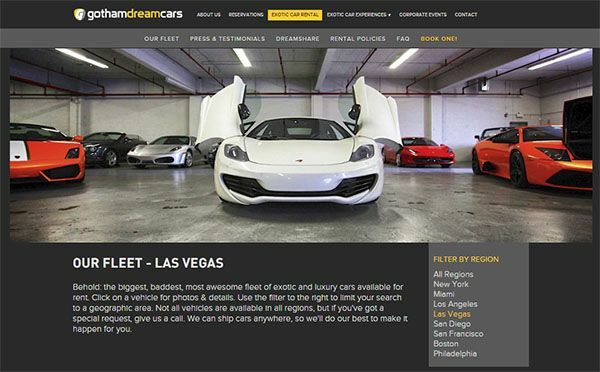 Gotham Dream Cars has several locations in the US, including Los Angeles, Las Vegas, and of course Miami. You can pick up a Ferrari 458 Italia Spider starting anywhere between $2,000 per weekday or $4,000 per day on the weekends. Enterprise Rent a Car has the Lamborghini Hurican for rent starting at around $1,000 per day in Miami. Most rentals are limited to 75 to 100 miles per day. Oh and don't forget the $5,000 plus security deposit most companies require. Chris Butler and a friend recently booked a trip to Las Vegas and rented a Ferrari from a local rental company. Here is what he had to say about his experience. "A friend of mine was getting married, so we decided to go all out and get a suite at the Wynn as well as making reservations at a couple of top restaurants and a table at a popular night club." Chris continued, "We also decided to rent a Lamborghini for 2 days. It cost $1,500 a day plus security deposit and there was NO WAY I wasn't going to take the insurance. It took a bit of getting accustomed to driving such a powerful vehicle but once I got the hang of it I had a blast. Afterwards I did have a bit of renters remorse, but I guess you really can't put a price on the memories we made that weekend. Would I do it again? Probably not. But if you can afford it, i would absolutely recommend it. If even for a day. " So if you are looking to put a little adrenaline into your life and have extra few thousand dollars lying around. Why not?